The former Las Vegas cop, who in December of 2011 fired the shots that killed Gulf War vet Stanley Gibson as he sat unarmed in a car, has been sentenced to 10 days of jail for contempt of court by Las Vegas Municipal Court Judge Heidi Almase. This particular sentence is related to a subsequent charge in which Jesus Arevalo was found guilty of harassing his ex-wife and her new boyfriend. Arevalo was seen and heard by numerous witnesses making death threats against Steve Delao, who is now married to Arevalo’s former wife Catherine, in public at a church. It’s not exactly clear what constituted that charge of contempt. However, one of the stipulations of his sentencing was that if he violated the protection order his wife has against him after his release he would have to serve the 179 day suspended sentence that he received from that conviction. This would imply that the contempt charge involves some sort of violation of that protection order. 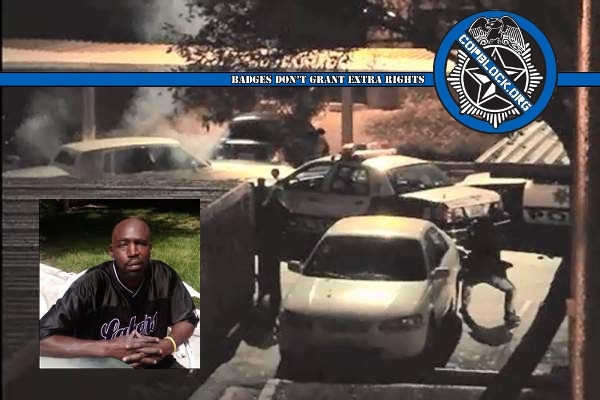 At the time that Jesus Arevalo shot him, Stanley Gibson was not even suspected of being armed (as testified by other officers at the scene), was suffering from a panic attack precipitated by a mental illness and PTSD related to his wartime military service, and was merely sitting in a car that had been blocked in and completely immobilized by police vehicles (see video embedded below). He was incoherent, unresponsive and not in any way threatening or even capable of harming anyone. The police had responded to a suspected break in after Stanley became confused and went to the wrong apartment thinking it was where he lived after having just moved. Arevalo was a problem cop with an extensive history of complaints and internal discipline, who should have been fired long before he got the opportunity to kill Stanley Gibson. Instead, he was moved from one unit to another and eventually put on the graveyard shift. According to his ex-wife, he had in fact stated that he wanted to kill someone in order to get paid time off, as well as making disparaging and racist comments about Gibson to her after the shooting. 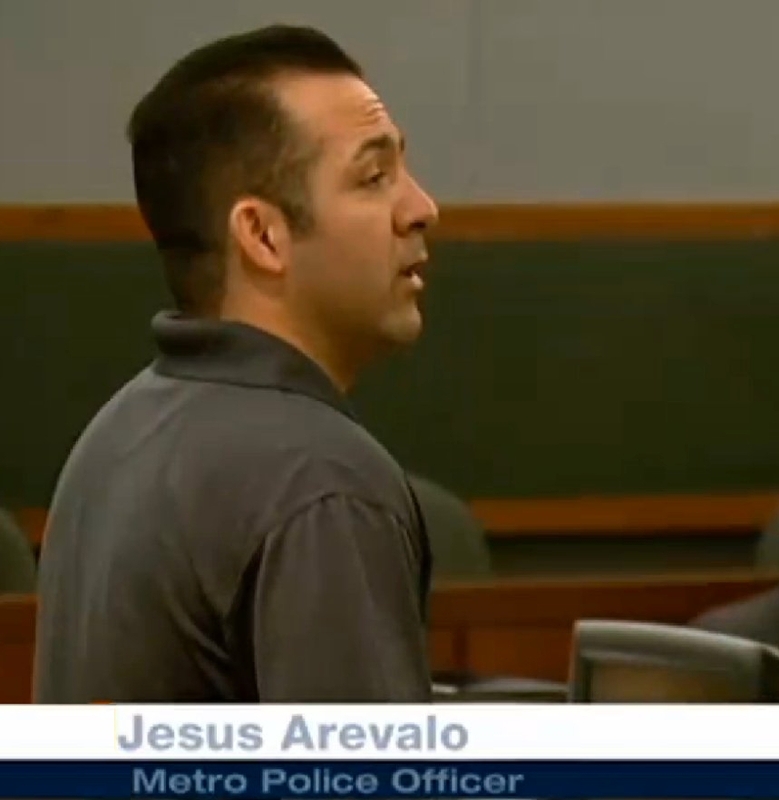 Arevalo is just one example of the LVMPD’s abysmal history of refusing and even actively working to prevent accountability for the criminals within their ranks. Although on paper he was punished by being fired, Jesus Arevalo was never held accountable or punished in any real way for the murder of Stanley Gibson. Instead, he was effectively rewarded for his deadly actions that day. First, he was given two years of paid vacation while his former coworkers at the Las Vegas Metropolitan Police Department “investigated” the shooting. Then former Sheriff Gillespie dragged his feet long enough before “firing” Jesus Arevalo to allow him to put in for disability (for the stress of being called a murderer after he murderer someone). He was approved for that disability just one month before his “firing” by the LVMPD. Among those on the board that approved his disability were Chris Collins, who at that time was the president of the LVPPA (the police union for departments within the Las Vegas area). Collins stated that he didn’t feel it was a conflict of interest because they “didn’t hang out together.” As part of his “disability,” Arevalo now receives just under $30,000 (plus future cost of living increases) per year for the rest of his life. Unlike Social Security disability, people receiving government disability are also not precluded from working, they are just not allowed to be employed in the same field. So, Arevalo will receive that $30k/year Killer’s Bonus on top of whatever he makes in another job.